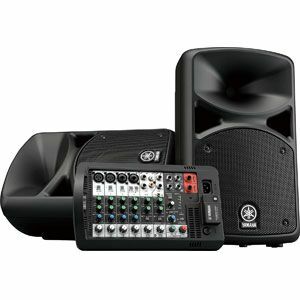 This Yamaha STAGEPAS 400BT Portable PA System offers a great sound and multiple options in a strong package. There are many buyers that are pleased with the different elements of this package. This really does seem to have something for all users. The speaker stands and cables mean that users can set this up in whatever configuration that they need. The detachable mixer is easy to use and offers enough controls and outputs for different needs. There is even a polishing cloth, not that this is that necessary. All these parts fit neatly into the back of the Yamaha STAGEPAS – both of which also have a lightweight and a built-in handle. This all means that any concerns over the portability of this system are unfounded. There are also some great comments about the sound quality in different applications. 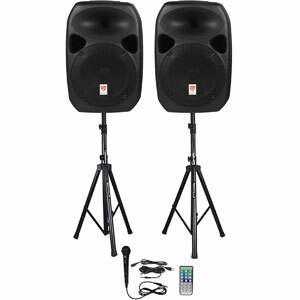 The speakers have SPX digital reverb, enough bass and clarity to allow users to fill a decent sized room for a party. The addition of the Bluetooth connectivity means great streaming for different playlists. There is a lot to love with this Yamaha 400BT Portable PA, but users do need to be careful about the longevity. Users don’t seem to have much to say in criticism of this device. There are some that wonder how long it will all last. There have been some breakages on less stable components. This means that this might not be as good for those travelling around night after night. There is also the consideration of the cost. This isn’t a cheap system, although some do feel that it is fair compared to some other systems on the market. What does this all mean for a final verdict on this Yamaha STAGEPAS PA System? 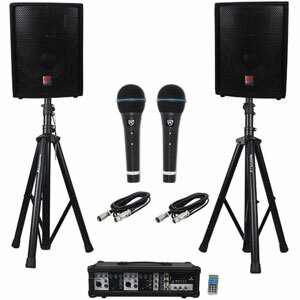 Many users are sure to agree that this Yamaha speaker system provides the complete package for users. The accessories on offer are diverse and helpful, yet still pack up neatly into a compact, transportable package. Some elements may not be as tough as hoped for, but most are reliable and add to the experience. 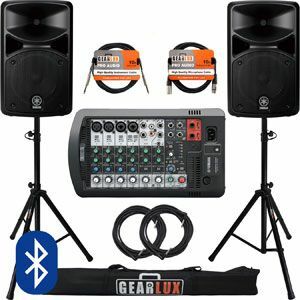 This, along with the effects on the mixer and the sound quality, means that this Yamaha PA system is definitely highly recommendable for many different users. 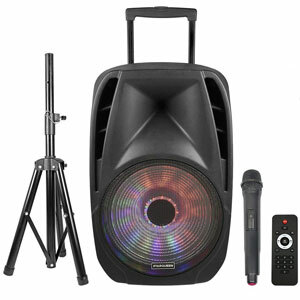 Find more reviews about the Yamaha STAGEPAS 400BT Portable PA System on Amazon here.